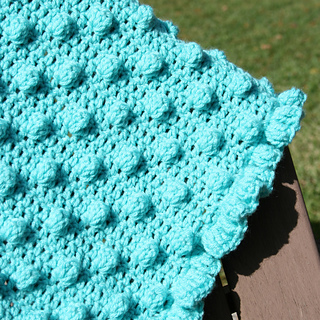 This snuggly blanket can be made in three different sizes. 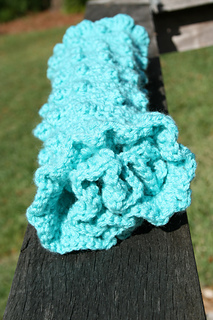 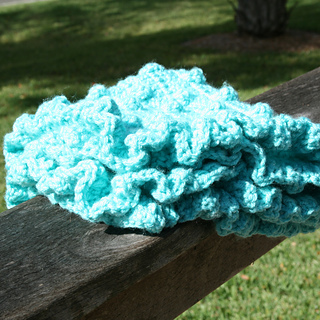 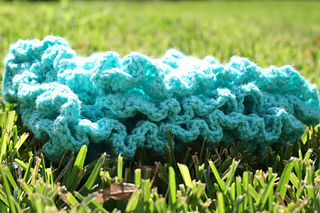 It’s perfect for babies (they’ll love playing with the frills and the bobbles) and looks great thrown over a couch. 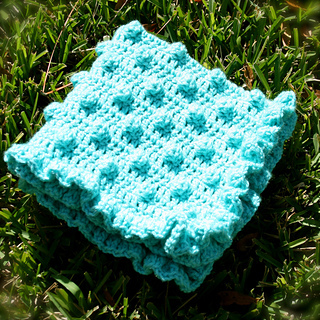 The lovie or baby blanket size would make a perfect gift for a baby shower and the afghan would make a lovely bridal shower or housewarming gift.